Here is a brief resume into our company background and the various standards of 4×4 driver training for beginners and serious users alike, whether your gift voucher or 4×4 driver training be for fun or safety related work issues, you can be assured that Pro-Trax has over 15 years experience in this field to ensure we can exceed most clients requirements. Pro-Trax was a founder member of BORDA and all instructors have gone through Land Rovers, Lead and senior instructor courses as well as BORDA level one courses and we operate to current health and safety guidelines. Our course content is explained later and on completion of the course each client receives an attendance certificate and an aide des memoir pack. Our popular and probably one of the best training/4×4 driving sites in the country is close to Stamford, quite a drive for some people I know, but I can guarantee it will be worth it! However we do have the capability to organise events and training at Rockingham Castle, this will soon become one of the UK’s premier off-road sites. Pro-Trax’s main 4×4 training sites are Tixover off-road centre set in the lovely rolling countryside of the Northants and Leicestershire border close to Stamford, Corby, Leicester and Peterborough with the A1 only 2 miles away. West Lodge Rural centre near Market Harborough utilising 100 acres of forest, quarries etc and Gretton 4×4 park near Corby, Northants. The Tixover site is widely renowned to be one of the UK’s leading off-road sites, with impressive terrain such as steep hills and descents, technical training sections, visual displays, mud and water, differing terrain, side slopes and wading sections! 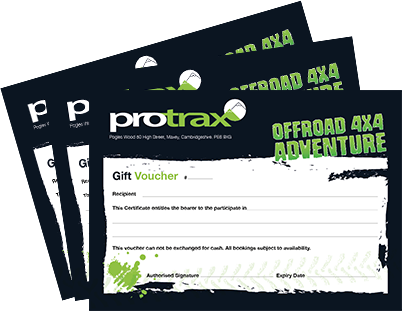 The site has everything to suit all requirements whether it be 4×4 driver training, gift vouchers or multi-activity events. The main feature of our training and of the sites we use is to train and demonstrate what we believe to be the fundamental requirements and health and safety issues required before going and during off-road driving. Our base for Tixover is the cosy 17th century Collyweston Slater inn at Collyweston. Here we can serve refreshments on arrival supply food of all types as well as being able to offer accommodation if it should be required. All forms of off-road driving and training are undertaken, from the novice and fun driver to the experienced and hardened off-roader. With over 350 acres of terrain and 4 different areas to train over, not including our 70 acre disused sandstone quarry nearby (Tixover quarry), we can assure each client that whatever their requirements and whatever the weather! Pro-Trax can meet them. For your information Pro-Trax currently hold the contract to train Raleigh Internationals expedition leaders and staff as well as the British Red Cross’s emergency response teams. We are supported by Goodyear and Pirelli Tyres and work closely with Conrico and Land Rover Ford Project Vehicles, both Land Rover Export dealers, on various training contracts. 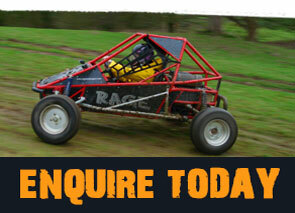 We work with Warn Industries as advisors in Europe on off-road and winch equipment. Land Rover Owner International magazine holdVince and Pro-Trax in high esteem and use Pro-Trax for articles and technical support on off-road driving techniques. We also coordinate the magazines Adventure club, which is an exciting new phase for Pro-Trax. Land Rover Owner magazine is certainly the UK’s largest Land Rover magazine and for its off-road driving answers and technical support they turn to Vince and Ed at Pro-Trax who provide articles on a monthly basis. Past and current clients of Pro-Trax have been Land Rover, Ford, LFPV, Vauxhall, Goodyear, Pirelli, Foreign & Commonwealth Office, Forestry Commission, Parachute regiment, BP, RSPCA, Shell Exploration, various Fire Brigades and councils, Royal Geographical Expedition Advisory Service, NP Aerospace, Nokia Telecommunications, Avon tyres, Gulf Offshore, VSO, Red R, Russian Embassy St Petersburg, Discovery Channel, Channel 4, Ford, Vauxhall, Land Rover Owner Magazine, Fina Oils, NBC, BT, Mobil, United Nations, Reuters, The Times, Malaysian Government, American & Singapore Special Forces, Data General, Baptist Missionary Society, Foreign Office and the BBC to name but a few! Also, due to our various programmes and work Worldwide, in all climates and extreme conditions, we can offer a very good advisory service to groups or individuals planning trips or holidays abroad. This could be on; vehicle preparation, winching and recovery techniques as well as basic maintenance and survival skills. Therefore whether it be purely for fun, or a genuine desire to understand the exhilarating qualities of 4 x 4 off-road vehicles, I am sure that the professional team at Pro-Trax can help you achieve your goal. 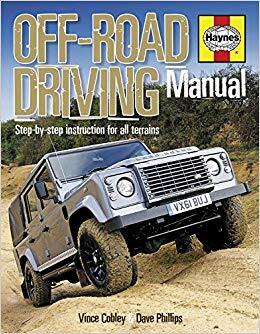 If you would like to purchase a copy of the Haynes Off-Road Driving Manual fill in the form below and we will contact you to arrange payment and delivery.